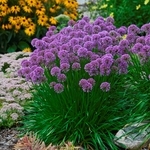 Allium 'Millennium' is a stunning new ornamental onion that features 2" globes of intense color. 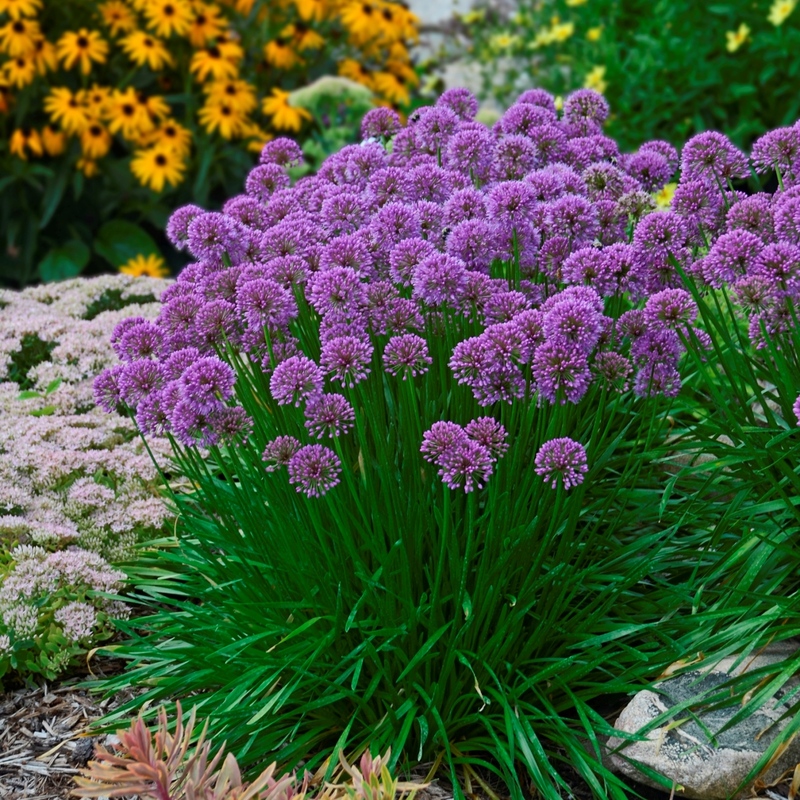 This easy-to-grow perennial blooms later in the season, compared to other plants in the allium family. The thick, strappy, glossy green foliage smells of onion when it is crushed. 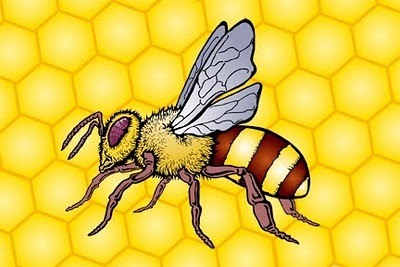 Bees & butterflies love 'Millennium' while deer and rabbits generally avoid it. Once established it is drought tolerant. Also grows well in containers.